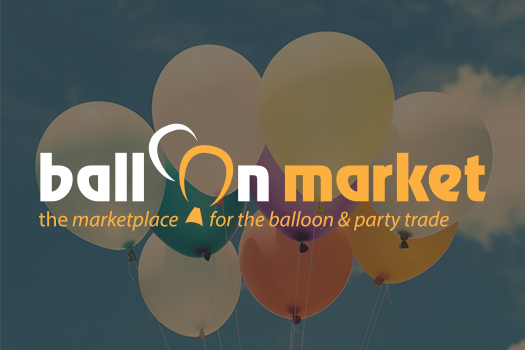 These terms and conditions together with the documents referred to in them set out the basis on which we will supply you with any goods ("Goods") listed on our website www.balloonmarket.co.uk. Please read these terms carefully before ordering any Goods from our website. By ordering any of the Goods, you agree to be bound by these terms and conditions. You should print a copy of these terms and conditions for future reference. 1.1 The Goods are provided by Balloon Market ("we/us/our"). 1.2 Our main trading address is Unit 4, Lulworth Business Centre, Nutwood Way, Totton, Southampton, SO40 3WW. 1.3 Our VAT registration number is 855 8213 08. 3.3 Each order for Goods by you to us will be deemed to be an offer by you to purchase Goods subject to these terms. 4.3 You will not remove, alter, deface or tamper with any of the trade marks, or trade names† affixed to or appearing on the Goods. 4.5 Notwithstanding the provisions of clause 11.1.1 which relate to fitness for purpose, unless otherwise agreed by us in writing in any particular instance, you shall be solely responsible for selecting Goods which are suitable for use with any application with which they are to be used. 5.1 You may cancel a Contract at any time within 7 working days, beginning on the day after you receive the Goods. In this case, you will receive a full refund of the price paid for the Goods in accordance with our refunds policy which is available here [hyperlink to refunds policy]. This right of cancellation does not apply to any Goods which are personalised or made to your specification. 5.2 To cancel a Contract, you must inform us by sending an email to [email protected] †pursuant to clause 13 below. You must also return the Goods to us immediately, in the same condition in which you received them, and at your own cost and risk. You have a legal obligation to take reasonable care of the Goods while they are in your possession. If you fail to comply with this obligation, we may have a right of action against you for compensation. 6.6 You acknowledge that we stock a large number of Goods. It is always possible that, despite our best efforts, some prices may be incorrectly listed. We are under no obligation to provide Goods to you at an incorrect, lower price, even after we have acknowledged your order or dispatched the Goods, if the pricing error is obvious and unmistakable and could have reasonably been recognised by you as mispricing. Payment for all Goods must be by credit or debit card or via Paypal. We accept payment with Mastercard, Visa, Maestro and Paypal. American Express can be accepted if using Paypal. 8.1 The Goods will be delivered to the delivery address provided by you. 8.5 Our liability for non-delivery of the Goods will be limited to, at our discretion, replacing the Goods within a reasonable time, issuing a credit note at the pro rata Contract rate against any invoice raised for such Goods or a refund of the purchase price paid. 9.2 You will insure the Goods against theft or any damage howsoever caused until their price has been paid in full. 9.3 For the purpose of section 12 of the Sale of Goods Act 1979 we will transfer only such title or rights in respect of the Goods as we have and if the Goods are purchased from a third party will transfer only such title or rights as that party had and has transferred to us. 9.5 We may maintain an action for the price of any Goods notwithstanding that title in them has not passed to you. 10.1.2 For any other reason, we will examine the returned Goods and will notify you via e-mail within a reasonable time of any refund to which you are entitled. We will usually process the refund as soon as possible thereafter. 10.2 We will normally refund any money received from you by bank transfer. You will need to provide your bank account number and sort code. If you paid via credit or debit card, we will refund the same card originally used to pay for your purchase. 10.3 Please refer to our Returns Guide for further details of our Refunds Policy. 11.1.3.2 Any such loss (or any part thereof) was caused by or contributed to by your breach of any of these terms and conditions. 11.1.4 For the avoidance of doubt, we shall not be liable for any indirect losses which happen as a side effect of the main loss or damage, and which are not foreseeable by you and us (such as loss of income or revenue, loss of business, loss of profits or contracts, loss of anticipated savings, loss of data, waste of management or office time) howsoever arising and whether caused by breach of contract, negligence, or otherwise. 11.2.1 All warranties, representations, terms, conditions and duties implied by law relating to fitness, quality or adequacy are excluded to the fullest extent permitted by law. 11.2.2 Without limiting the generality of Condition 11.2.1, we shall not be liable to you if any monies due from you to us have not been paid in full. 11.2.3.6. Inconvenience, delay or loss of production. 11.2.4 Without limitation to any of the foregoing, our aggregate liability to you (whether for breach of Contract or for negligence or otherwise howsoever), for any loss or damage of whatsoever nature and howsoever caused, shall be limited to and in no circumstances shall exceed the price of the Goods purchased from us. Applicable laws require that some of the information or communications we send to you should be in writing.† When using our website, you accept that communication with us will be mainly electronic.† We will contact you by e-mail or provide you with information by posting notices on our website.† For contractual purposes, you agree to this electronic means of communication and you acknowledge that all contracts, notices, information and other communications that we provide to you electronically comply with any legal requirement that such communications be in writing.† This condition does not affect your statutory rights. All notices given by you to us must be emailed to [email protected]. †We may give notice to you at either the e-mail or postal address you provide to us when placing an order, or in any of the ways specified in clause 12 above.† Notice will be deemed received and properly served immediately, 24†hours after an e-mail is sent, or three†days after the date of posting of any letter.† In proving the service of any notice, it will be sufficient to prove, in the case of a letter, that such letter was properly addressed, stamped and placed in the post and, in the case of an e-mail, that such e-mail was sent to the specified e-mail address of the addressee. (a)††††††††† Strikes, lock-outs or other industrial action. (b)††††††††† Civil commotion, riot, invasion, terrorist attack or threat of terrorist attack, war (whether declared or not) or threat or preparation for war. (c)†††††††††† Fire, explosion, storm, flood, earthquake, subsidence, epidemic or other natural disaster. (d)††††††††† Impossibility of the use of railways, shipping, aircraft, motor transport or other means of public or private transport. (e)††††††††† Impossibility of the use of public or private telecommunications networks. (f)††††††††††† The acts, decrees, legislation, regulations or restrictions of any government. 15.3 Our performance under any Contract is deemed to be suspended for the period that the Force Majeure Event continues, and we will have an extension of time for performance for the duration of that period.† We will use our reasonable endeavours to bring the Force Majeure Event to a close or to find a solution by which our obligations under the Contract may be performed despite the Force Majeure Event. 20.2 You will be subject to the policies and terms and conditions in force at the time that you order Goods from us, unless any change to those policies or these terms and conditions is required to be made by law or governmental authority (in which case it will apply to orders previously placed by you), or if we notify you of the change to those policies or these terms and conditions before we send you the Dispatch Confirmation. Contracts for the purchase of Goods through our website will be governed by English law.† Any dispute arising from, or related to, such Contracts shall be subject to the non-exclusive jurisdiction of the courts of England and Wales.